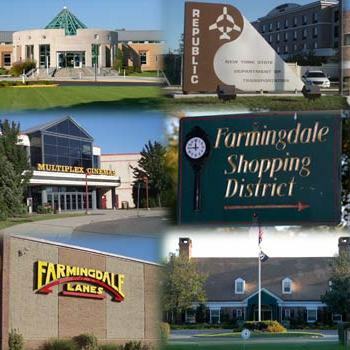 Centrally located in "The Heart of Long Island", the Farmingdale Chamber of Commerce uniquely encompasses both Nassau and Suffolk Counties, the Towns of Babylon and Oyster Bay and the Incorporated Village of Farmingdale. 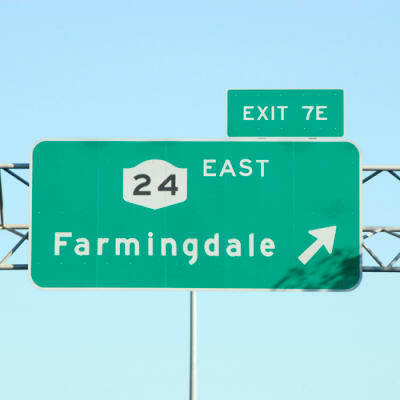 The Chamber is dedicated to building a better business community together while striving to preserve the quality, character and vitality of Farmingdale, New York 11735. 2018 Farmingdale Chamber Holiday Parade. Click photo for more pictures courtesy of William Moseley/BBA Photography Corp.
We are growing! WOW! Thank you to our members who have been great at referring new members and especially our membership Committee! Ken Marcus Marcus Family Agency - Allstate Insurance Co.
We have already had our spring events starting this spring, with one of the big headline events being the Annual Comedy Night held again this year at The Nutty Irishman. We totally sold out; Thank you to our sponsors, donors, and organizers! Also we again sponsored the Farmingdale Summit expo. This keeps with our plan to help connect our member to each other, to the residents, and to help support community organizations as a group. If you aren’t aware The Farmingdale Community Summit Council was formed during time following the events of September 11, 2001. The Summit represents a "coming together" of residents, organizations, merchants and houses of worship in the communities that comprise the Farmingdale School District for the common good of all. They since have erected a permanent community 9/11 monument and perpetually look to assist families in need and to improve our community's overall quality of life. Be sure to check the website for upcoming events; more are being added all the time. Let’s keep moving business forward in greater Farmingdale and support each other. Don’t hesitate to reach out to me by email or phone anytime 516-449-2028. People's United Bank, N.A., a subsidiary of People's United Financial, Inc. (NASDAQ: PBCT), is a community-based, financial services company with approximately $48 billion in assets, offering commercial and retail banking, as well as wealth management services. We have a network of over 400 retail locations across the Northeast in Connecticut, New York, Massachusetts, Vermont, New Hampshire and Maine, including 69 on Long Island. 33 of our 69 Long Island branches are conveniently located in Stop and Shop Supermarkets. Peoples United Bank has had a relationship with Stop and Shop since 1995. With roots dating back to 1842, we understand the importance of focusing on our clients and their unique needs, integrating technology to augment the experience and expertise of our bankers. We are committed to creating a high-quality, multi-dimensional service approach, both business and personal. Community giving is central to our mission. The People’s United Community Foundation, the Bank and its employees, take pride in our collective legacy of supporting the needs of individuals, families, businesses and entire communities. In 2018, People’s United Bank and People’s United Community Foundation contributed nearly $570,000 to 37 local nonprofits on Long Island. In addition, 229 Financial Education presentations were conducted, helping to improve financial literacy and economic stability for more than 6,400 individuals in New York. Please visit us in Farmingdale (inside Stop & Shop) at 55 Motor Avenue, Farmingdale, NY 11735, or call us at 631-425-9520. 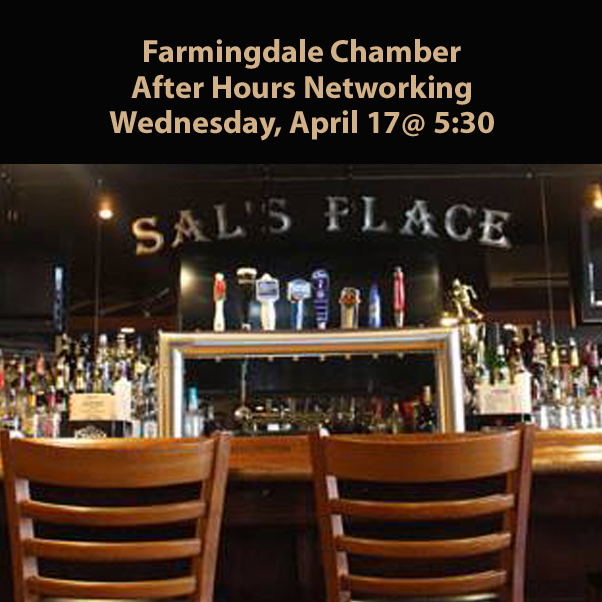 The Farmingdale Chamber of Commerce, Inc. is dedicated to "Building a Better Business Community Together" and to serve the heart of the greater Long Island business area. The Farmingdale Chamber of Commerce, Inc. pledges itself to the following goals. To further the mutual interests of all organizations in their relationships with town, county, village and state governmental agencies. To promote the passage of legislation serving the best interests of our businesses and community. To promote inter and intra-area buying of products and services. To promote beautification of the local industrial and commercial community.